For too long British Jewish leaders have urged the UK Labour leader to rid his party of anti-Semites. 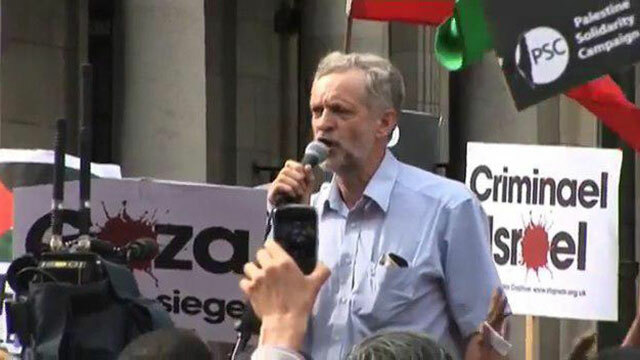 Yet fearing accusations of dual loyalty, they have refused to equate his rabid hatred of Israel with anti-Semitism. Until they state clearly that they are two sides of the same coin, their arguments lack conviction and they are letting their people down. The most terrifying prospect facing UK Jewry is the possible rise of Labour leader Jeremy Corbyn. Since he took the reins in 2015, Jews have suspected that he may be an anti-Semite. Almost four years later, the media has been saturated with headlines proving beyond any doubt that the softly-spoken and self-proclaimed peacenik has associated himself over the years with people with the darkest of reputations. Each time he is confronted about inexcusable actions, he claims ignorance and protests his innocence. After advocating in 2012 that a flagrantly anti-Semitic mural be allowed to remain on a wall in London’s East End, Corbyn later said he had not examined it closely enough and therefore regretted offering his support to the California-based artist in the name of free speech. Barring incidents that involve explicit anti-Semitism, Corbyn has mainly caused offense among the UK’s mainstream Jewry by associating himself with people who despise Israel, who have supported terror attacks on Israel, who are openly and proudly committed to obliterating Israel and its citizens. Hamas and Hezbollah were once his friends. In subsequent interviews since he was caught making that infamous statement, he has half-heartedly said he disagrees with Hamas and Hezbollah but never said with what aspect specifically. Laying wreaths on the graves of terrorists is another gesture of his support for those who murder Israelis. All his excuses, lies, backtracks and attempts to justify the wreath-laying ceremony can do nothing to obfuscate the fact that this man is an unabashed champion of the murder of Jews in Israel. Mainstream UK Jewry rightly complains that this man is predisposed to a hostile attitude toward Jews, even as he claims to love them, to embrace them and implores them to join his party. The question is, of course, correct, but Corbyn’s anti-Semitism is essentially manifested in his obsessive hatred for Israel, the Jewish state, not by his statements about Jews. Regrettably, it seems that the leaders of the Jewish community are reluctant to quarrel with anyone unless they are self-proclaimed neo-Nazis, something which Corbyn will never be. A tragic history should have endowed Jews with a seventh sense on how to recognize an anti-Semite, how to discern when persistent anti-Israeli positions are used to mask putrid anti-Semitism. Yet UK Jewry has almost always refused to conflate the two for fear of accusations of dual loyalty. Hearing some of the statements by the Board of Deputies of British Jews (BDBJ), it is clear that the major focus is on ridding the party of anti-Semitic sentiments but they seldom focus on the Israel-bashing aspect, even though the key ingredient that has allowed anti-Semitism to fester in the Labour party is virulent anti-Zionism, which most, whatever they say to the contrary, do conflate. Corbyn conflates the two and so do all his other cronies. The only people who are loath to conflate Judaism and Israel are the Jewish leaders—the people who should be doing so with the most pride and who have the greatest responsibility to their Jewish constituents and the Jewish state. Here, he correctly identifies the fact that hatred of Israel is synonymous with hatred of Jews. Why this articulate, influential and philosophical giant of the modern era only recently decided to publicly speak out against Corbyn is unclear and frankly unacceptable. Corbyn’s long history of going after the Jewish state long predates his leadership in the party and it did not only emerge for the first time in August, 2018. Rabbi Sack’s belated commentary is long overdue and hopefully it will continue. Now, Rabbi Sack’s successor, Rabbi Ephraim Mirvis, is shirking responsibility in his failure to hit back at Corbyn. His vague statements expressing “grave concern” over the Labour leader are insufficient and make him unworthy of occupying the position of leadership. If the role of the chief rabbi of Britain is merely to be a passive figurehead who espouses the virtues of cosmopolitanism and who must always avoid confronting the political class, even though the people he represents are facing serious dangers, then Mirvis is doing a fine job. 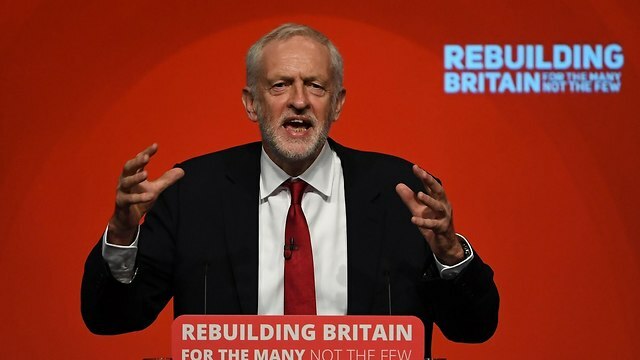 He can still redeem himself, however, by defending Israel and stating publicly that Corbyn’s rabid hatred of Israel, in and of itself, makes him an anti-Semite. The Jewish community will follow his lead if only he can marshall the courage to speak out. To do otherwise is to capitulate to a history of fear and abandon the beleaguered Jewish community. Then there is the demonstrative weakness of the the BDBJ. They have publicly praised Labour’s MP Naz Shah for “seeking to make amends” for openly anti-Semitic and anti-Israel statements, which included cleansing Israel of Jews. Since then, her assault on Israel on social media has continued unabated and we can surmise that her vitriol will intensify come the next war Israel is compelled to face. But Jonathan Arkush says she is a “sincere friend” of the Jewish community. One can only hope that he speaks for few Jews in the UK or the world, for his statement is another abdication of responsibility. It reflects gross naivety at best, or a Jewish leader who knowingly ignores the truth at worst. In 2016, the current author wrote two articles urging the Jewish community in Leeds not to give Shah a platform to issue a spurious apology for saying on social media, among other things, that Hitler’s actions were legal. Like Corbyn, she was not a child when she made the most heinous remarks about the Jewish state and she should never have been afforded the opportunity to lie her way out of her sins, let alone be forgiven for them. The fact that she has now been welcomed by the Jewish community’s leaders as a friend is a damning indictment on their judgement and gives the green light to unrestrained verbal assaults on Israel. With such statements of forgiveness, the BDBJ bears significant responsibility for inadvertently letting Shah and people like her, including Corbyn, off the hook. 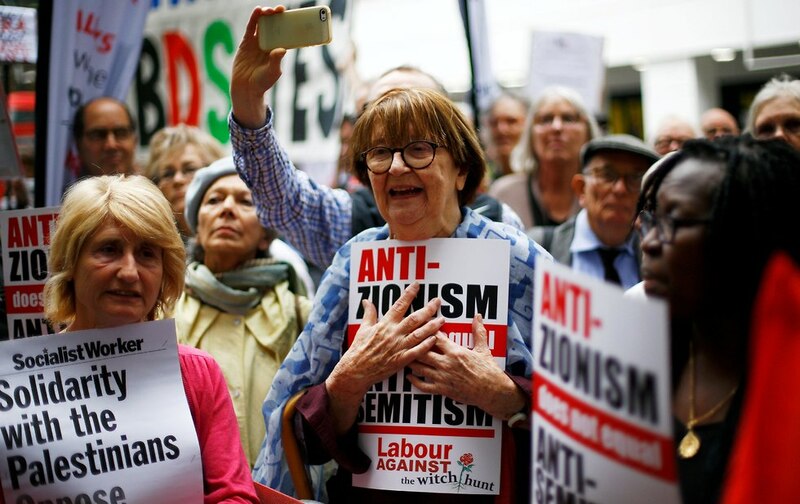 For too long it has been unable or unwilling to brand someone who is rabidly anti-Israel as anti-Semitic, thus only paving the road to the wave of hatred that could be unleashed against Jews if Corbyn or people who share his views ever gain power in the UK. The BDBJ has at times overlooked virulent animosity toward Israel in the futile hope that it will not be entangled with enmity toward Jews. But it already is, and always will be. In many of his interviews, Arkush repeatedly protested Corbyn’s failure to take steps to rid Labour of anti-Semitism and to remove individuals who have made anti-Semitic remarks. Yet once again, that serves no purpose if the anti-Israel rhetoric articulated by Corbyn and his cohorts is allowed to continue without being called out for what it is—anti-Semitic. To be sure, a letter written to Corbyn by the BDBJ did draw the parallel between anti-Semitism and his obsessive hatred of Israel. However, until they explicitly call on him to vacate his post for his anti-Israel/anti-Semitic position— rather than merely dealing with people who serve as a mouthpiece for his own anti-Israel views—their campaign lacks conviction. The BDBJ should have had the confidence and the backbone long ago to be more forthright in calling out anti-Zionists as anti-Semites. Furthermore, Arkush’s legacy of forgiveness of anti-Semites and Israel-haters should be immediately expunged from the culture of Jewish British leadership. The issue that Jewish leaders have with Corbyn is not merely his support for anti-Semitic murals and association with anti-Semites, but with his hatred for the Jewish state. They know that this is the fundamental factor that makes him an anti-Semite. It is high time that they shift their focus on to that and come out and say it unequivocally. In the final analysis, the Jewish leadership calling on Corbyn to deal with anti-Semites must ask themselves an honest question: If he does accede to their demands, drains the party of anti-Semitism and expels all the members about whom complaints have been made, but maintains his own position on Israel, would they then be content endorsing him as a credible leader? If the answer is no, then all the questions regarding how he is dealing with anti-Semitism are merely background noise that divert attention from Labour’s chief culprit of anti-Semitism. Jews must call upon him not merely to deal with anti-Semitism, but demand that he, as its main source of inspiration in the party, go now.